This year’s European edition of NVIDIA’s GTC was held October 9-12th in the beautiful town of Munich, Germany. 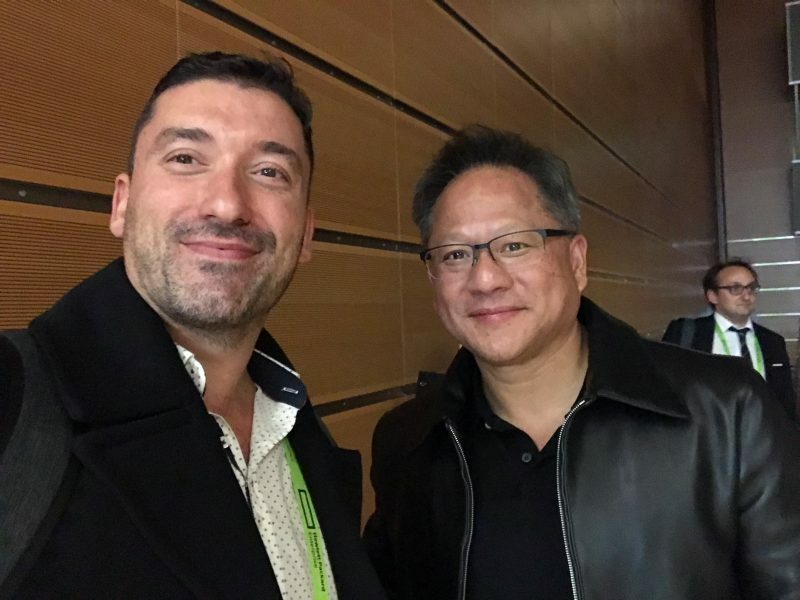 GTC has established itself as one of the leading events covering the latest trends not just regarding GPU hardware but also the many areas where the hardware computation power enables various practical A.I. use cases. This naturally includes the Imagga’s specialty – image recognition and its applications in various industries. 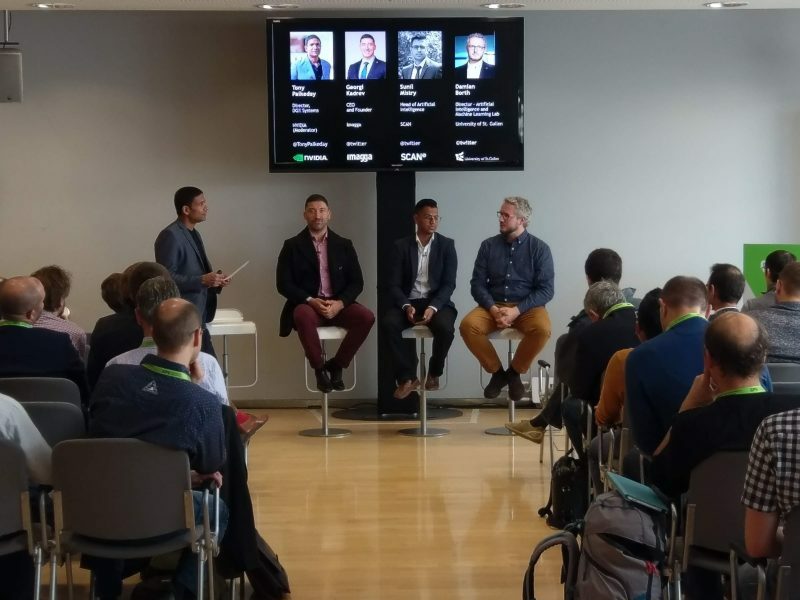 As one of the early adopters of DGX in Europe, we were invited to join a panel of industry and academic experts taking advantage of the DGX family of machines. Our CEO Georgi Kadrev has the chance to share how image-oriented and/or image-dependent business can solve problems by taking advantage of the automation that ML-based image recognition brings. He specifically addressed how the DGX Station has helped us to train one of the biggest CNN classifiers in the world – PlantSnap which recognizes 300K+ plants – in just a matter of days. Georgi was also invited to join the private DGX user group luncheon where the object of discussion was the present and the future of the DGX hardware family and the software and support ecosystems starting to shape around it. Being an Inception alumnus ourselves, it was inspiring to also see the new generation of early-stage startups taking advantage of GPU and A.I. at the Inception Awards ceremony. Well crafted pitches and interesting vertical applications were presented during this startup oriented track of GTC. Already turning into a tradition, NVIDIA’s rock-star CEO Jensen Huang spent almost an hour afterward talking with entrepreneurs about the ups and downs and the visionary drive laying behind every successful technology venture. With a lot of positive impressions and new friendships, we are looking forward to returning to Munich for the next GTC EU the latest. In the meantime – if you haven’t had the chance to meet us there, please don’t be a stranger. We are looking forward to learning more about your business and brainstorm how image recognition can help make it even more successful.